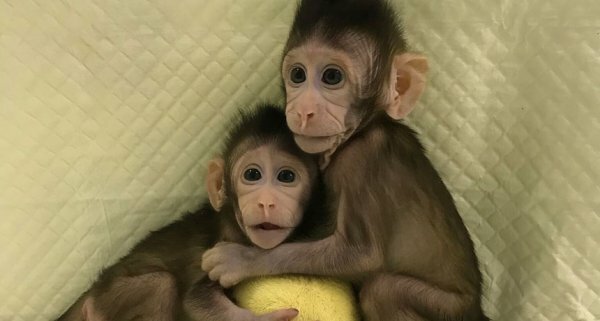 Zhong Zhong and Hua Hua are a pair of identical long-tailed macaques that were recently born in China. However, they are not your average set of twins, instead they are the product of a groundbreaking experiment. They were born two weeks apart and are both clones of the same donor culture of fetal monkey cells. It is important to note that (technically) this is not the first time that monkeys have been cloned. In 1999, researchers ‘cloned’ a rhesus macaque by splitting a macaque embryo into multiple parts. However, this is the first time that the SCNT method has been used to clone primates.
? Education Without Boundaries: This School In Finland Is Breaking Down Walls & Creating Open Spaces This Is What The Entire Universe Looks Like In A Single Image ?